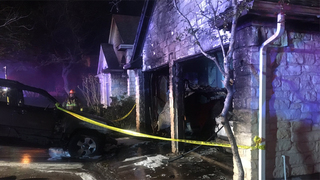 AUSTIN (KXAN) — Fire crews were able to successfully attack a fire at a home in the 9700 block of Cinnabar Trail in Canyon Creek Friday night. Crews were in the process of a final extinguish as of 9:05 p.m. The home was reported to have incurred extensive damage and the cause is said to have been a heat source too close to combustibles. This is a developing story. KXAN will update with more information as it becomes available. AUSTIN (KXAN) — Though the City of Austin already has an ordinance on the books regulating short term rental companies, city leaders may soon be reevaluating how that ordinance taxes companies like Airbnb and HomeAway. This comes as the city continues on its trajectory of phasing out some types of short-term rentals while laws in the Texas legislature, as well as a challenge in the Texas court system, threaten to upend existing city rules. All this makes for a confusing mix of uncertainty around the future of how these properties will be regulated in Austin. Short term rentals (or STRS) are residential dwellings or accessory dwelling units (ADUs) that are rented temporarily for periods of less than 30 days. AUSTIN (KXAN) — After talking for months about a multi-million-dollar budget shortfall heading into next school year, the numbers have suddenly changed for Austin ISD. Its preliminary budget report, which was presented to the school board Monday, shows a $78 million surplus. LEXINGTON, Texas (KXAN) — A tight-lipped investigation has finally been cracked open, answering many questions parents and students have about unapproved grade changes for upperclassmen at Lexington High School. The major conclusion from Tuesday’s school board meeting where three companies, including two digital forensic investigators, revealed their findings: many grades, GPAs and class ranks were changed intentionally, with the alterations coming from one computer and one set of credentials. Superintendent Tonya Knowlton would not say who those credentials belong to. She was adamant that there were no students involved or had any knowledge of the wrongdoing.